I don't think I'm alone in feeling that my adolescent years were the most difficult time of my life. In fact, the combination of my chaotic family situation and my own inability to be anything but my awkward, know-it-all, foot-in-the-mouth self, led to some lasting scars that have survived into adulthood. The reason I write YA is simple. I hope to help young adults get through this painful right of passage with less permanent damage to their psyche. I want to bring them stories with characters that are real – they make mistakes, they have emotional needs that are deep and difficult to articulate. And I want to show YA readers what happens when they deal with their problems with self-reliance and inner strength. I know that the painful experiences we have as teenagers teach us, make us stronger, and ultimately help us to become who we are. But the shining moments in my own teen years come from certain adults who supported me and encouraged me to develop character traits that will always win in the end. Traits like integrity, perseverance, and never letting your own personal value be defined by others. While I still, to this day, remember those lessons from great teachers and other adults, I don't think I was exposed to these ideas enough. It's so difficult to drown out the media blitz flashing before teens eyes day in and day out. I make it my goal through my writing to be one of those positive influences that I don't think YA readers can ever get enough of during these impressionable years. And that it is why I write YA. 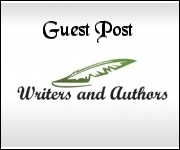 Guest post by Jennifer L. Fry, a writer, artist, and teacher in Marin County, California, where she lives with her wonderful husband, two adorable dogs, and orange tabby cat. Though she has been writing since she was young, A Part to Play is her first novel.